The basic concept of a flat roof design is to use materials which are strong enough to last through any type of weather, and suffer through the weather for years to come. A more technical description describes how although the roof is flat and seems level to the eye, there are angles in the basic structure whether wood, metal, or concrete which direct the flow of water to a drainage system. The structural aspect of the roof is then covered with a membrane or specific type of rubber coating which won't break down from the sun's UV light nor extended frozen weather and ice. The membrane is physically secured with nails or screws designed to seal themselves and the hole they create in the membrane, and then covered with gravel to help weigh it down and further secure it to the structural roof. 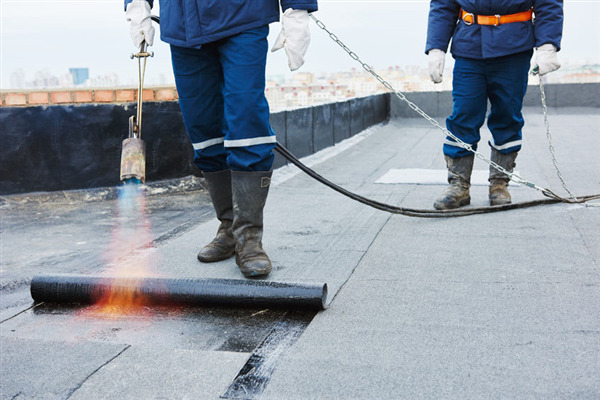 The most common damage a flat roof sees is the weakest part of the roof, the sealant around chimneys, plumbing exhaust pipes, and ductwork connected to a rooftop HVAC system. This is a simple repair which is usually prevented with an annual inspection. Although the concept may seem odd, the gravel gets misplaced over time and needs to be respread on occasion, again, that's part of the annual inspection. A fallen tree limb, heavy hail storms, or hard sleet can cause further damage which requires repair, but those sorts of repairs are expected and anticipated in the original design. When you need a flat roof for a new building or a replacement for an older building, it's important to find a specialist contractor with a good reputation in the community. When you find somebody who does the job right the first time, it saves time and money so you can get back to the job at hand which your building is expected to conduct. With the help of a licensed contractor, you can expect your flat roof to function properly for far longer than you may have originally expected. « Which Type of Commercial Roof is Best for You?